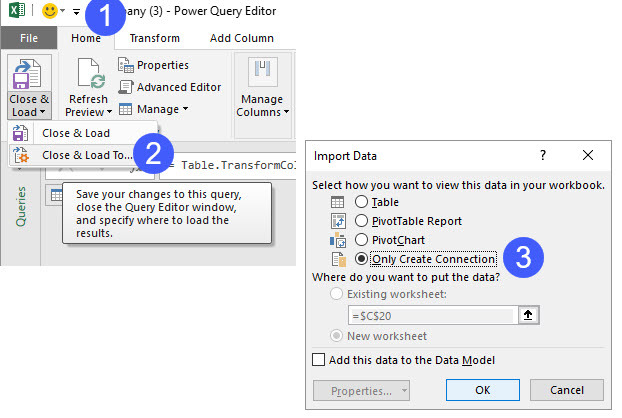 We have seen how to create graphs and reports calling the ITM Platform API from Power Query for Excel. With these techniques, you can extract and shape all the necessary information, but we needed to be able to customize calls to the API with parameters to – for example – send the user name and password, or filter results. 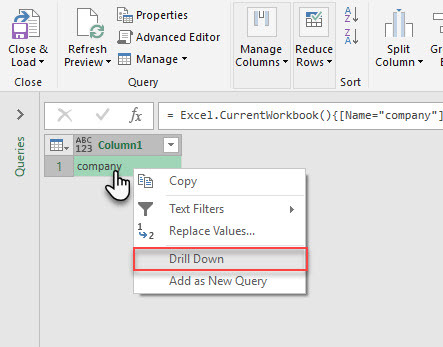 In this article we will explain how to do it through cells, or “named ranges” in Excel. 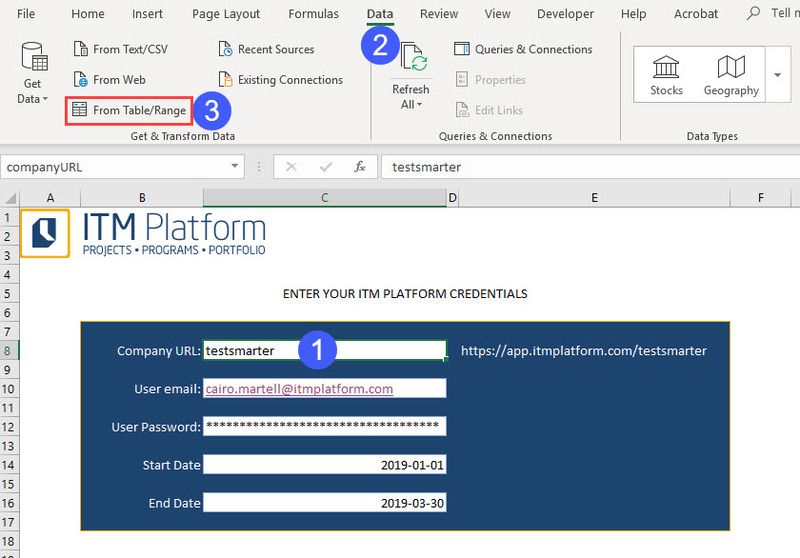 The basic idea is to set up the worksheet to allow the user to enter data that will be later used by Power Query in the call to the ITM Platform API. In the example, we have named companyURL (in the picture), email, password, datein and dateout. Go to Home and select “Close and load to…” as “only create connection”. 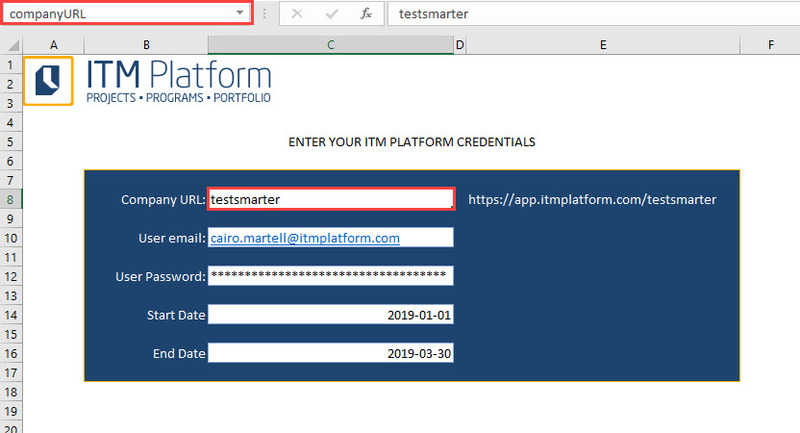 This will create a parameter (“companyURL“) that we can use in queries to the ITM Platform API, simply using its name. 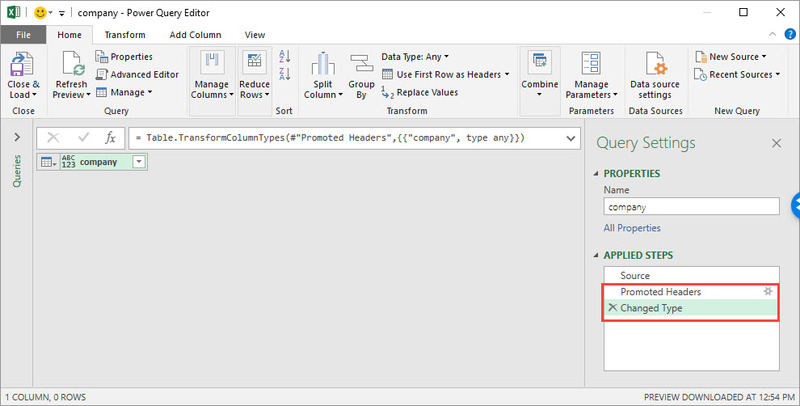 Now it’s just a matter of using the parameters in queries, linking these with the text t. In this example, we are using the companyURL, email and password parameters to obtain the connection token. Important note: as it happens in articles of previous examples, you have to select “always ignore privacy levels” in Excel’s options section.